I imagine that a great many people have seen Breakfast at Tiffany’s at some point, and enjoyed it as an iconic Audrey Hepburn movie, but have never read the book. To misquote Roald Dahl (from his retelling of Cinderella): I guess you think you know this story. You don’t. The real one’s much more… sincere. The book, a novella of about 100 pages, tells a compact, sensitive and compelling tale. It’s far more touching, genuine and believable than the celluloid version. It’s not about a couple of gigolos, nor is about neighbours falling in love. Indeed, the book details only two relationships with real depth of feeling – one between a quick, bright girl and her slow, lumbering brother, and another, acknowledged too late, between the girl and a cat with no name. Her story is told by a neighbour, a young man who lives in the flat above. He’s intrigued by Holly long before he meets her – he hears her coming and going at odd hours, catches occasional glimpses of her in glamorous settings around town, and keeps tabs on the esoteric content of her rubbish-bin. When they eventually meet, and strike up a tentative friendship, he finds her outrageous, disconcerting, and lovely. Holly’s story is not so different from Cinderella’s. Admittedly there’s no fairy godmother – Holly alone has dragged herself out of the dust and despair of her Hicksville past, and reinvented herself as a magnet for New York’s most eligible bachelors. She’s without any ties in the world, with the exception of her brother Fred, and is entirely self-reliant. With youth and beauty to commend her, and oodles of charm and guile, she’s leaping up the social ladder and reaching for happiness (and a nice big house, with a spare room for Fred). Finding a wealthy husband is the only respectable option open to her, but she’s not the least bit mercenary. Instead, she’s an odd blend of naivety and wiliness. And she’s also not nearly as morally compromised as her neighbours suspect. She’s looking for someone to commit to – and she’s quite adept at maintaining arm’s length while sifting through the options. She sincerely believes she can learn to love just about anyone, just as long as they’re rich. Holly is a girl of big dreams, and she has the determination and the guts to make them happen. She’s inherently loveable, despite her flaws, and a lot less shallow than she intends to be. She’s courageous, clever and unconventional. She’s not exactly an icon for feminism, but her lust for life is inspirational. 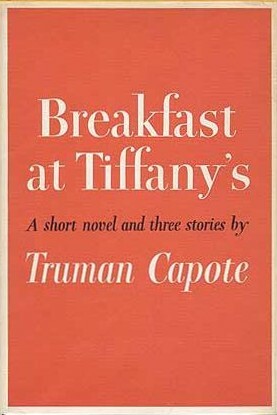 This entry was posted in Book Reviews and tagged 1940s, books, Manhattan, New York, Truman Capote, www.bookdrum.com. Bookmark the permalink.